"Jesus called his disciples and sent them by two's out into the world to bring the Good News to every creature" [Mark 16:15]. Active apostolic religious communities such as Sisters of Bon Secours were founded to be available and mobile - to serve where most needed to do God's work. living in a faith filled supportive community with others who share a common vision? 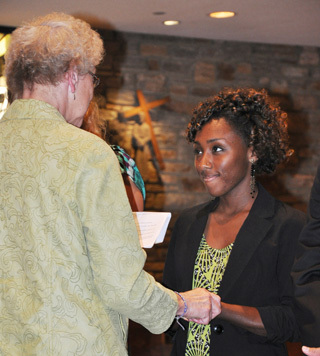 You may be called to an “active apostolic” community of vowed religious sisters. Catholic vowed religious sisters, who feel called to the “active apostolic” life, respond to the urgent needs of the world and the Church through almost any profession imaginable. They are sent by God and community, just like the disciples. Putting God at the center of your life is foremost for a religious sister. And, for active apostolic sisters, they find and experience God in a personal relationship that’s foundational in prayer and, through those they serve and work with and through all of creation. They consider themselves “contemplatives in action.” Being conscious of God in the moments of ministry is a precious gift. Besides their individual prayer time with God, they also come together in community for common prayer. To learn more about the prayer life of communities called to active service in the world, click here. Active apostolic religious sisters make the vows of poverty, chastity and obedience, and some communities make a special promise particular to their Charism. To learn more about the making of vows click here. 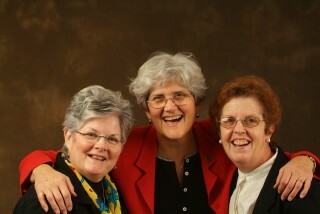 Active apostolic religious women live with their sisters in community. They experience the support, the camaraderie, the sharing of faith and daily life in the midst of community together. They develop friendships with sisters in community and maintain relationships with family and friends as well. Sometimes you may find vowed sisters living alone, depending on the circumstances, such as answering a call to meet an urgent need in the world where their community is not located. A sister living solo is not a “lone ranger’ – she is connected to her congregation through regular gatherings and frequent communication. Apostolic communities that are international or spread across states, such as in the USA, come together annually as a group. There is a real sense of joy when everyone in the congregation is together – it’s like a ‘homecoming.’ These times are most often used to talk about the life of the congregation, how the mission is being lived out, making decisions together, electing leaders, making a retreat together and of course celebration! Many times there are gatherings that bring sisters together to work on special projects or committees – even large conference calls for a book club can bring sisters together. And if there are several smaller communities in a geographic area, they gather for meals and prayer and celebration. Would you like to learn more through experience?